Product selling companies surely need boxes for shipping their product so they should realize that they have plenty of choices regarding product containers. They can use different options related to boxing size, material, and area but how they make a decision, it's really up to them. Custom made boxes can do marvels to your business and will be an excellent help for marketing purpose. 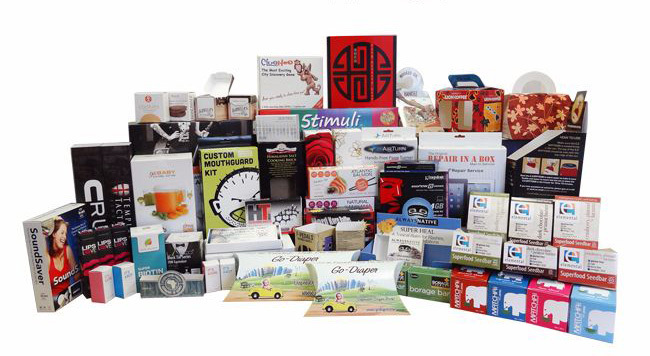 From promoting your name to creating an appealing image of your brand, benefits of custom made boxes are unlimited. The world has modernized too much; everything is changing with each passing day. Working as a product selling company, you need to advertise your product in such a way that it not only grabs people attention but also make you stand out from other competitive brands. Old advertising methods will not be helpful nowadays. People prefer online shopping rather than going to each shop one by one because it is time taking and tiring process. So, how can you market your brand? The simplest way is to package your product in such a way that it efficiently gives pick-me-up signals. A custom made box can help you to save money. It cost you less than the traditional generic boxes, i.e, wooden boxes, paper molded or plastic boxes. You can choose the exact and suitable size of your box, and you don't have to spend extra on large boxes for additional material. A properly designed custom box does not need much inner packaging, you don't have to spend money to keep your product safe. Custom made boxes not only allow you to save money on dimensional weight and shipping cost but custom boxes additionally spare cash in different ways that many people haven't thought of. A personalized custom box can make your customers feel special. You can make a long-lasting first impression on your clients, and you can make your customers feel that their needs and wants the matter to you. This could really help you to connect with your customers if you are in the e-commerce business. Opening a custom made box will give a delightful experience to customers. Try to give some personal touch to boxes by adding a simple thank you note, or you can write some particular kind of words to make it memorable. Custom made box can build or break your relationship with the customer. The easiest way to market your brand is custom made boxes. Print your logo, company name or a slogan to on the box, this makes your brand recognizable and encourage other people to buy from you. Quality of your box is as valuable as your product itself. You can be best known for your shipping box as if it has a distinctive logo, style, and design that inevitably catch the eyes of buyers. Not only your customers but each and every individual who sees the custom-made box will be presented to your organization's name and logo, making them more prone to consider you later on. Want to give extra information about your business or brand, you can print directions, site URLs, QR codes, or pretty much some other data you need onto you're shipping boxes. Switching to custom-made boxes not only helps you to reduce delivery cost but it will also keep your product safe at every stage of delivery. There is always some additional free space in large traditional boxes which can make your product bumped around while delivering. Custom made boxes will keep your product safe confident, you can feel sure that they'll reach their place in one piece. Always try those options that will allow your product to be delivered with minimal additional protection. Take advantage of this excellent opportunity to market your business or brand by customizing your boxes. In case if you are a little bit confused about how to start then Custom Packaging pro is here to help you. Custom Packaging Pro provides you with hundreds of customizing options by giving you change to disentangle your imagination and build your own custom box and also help you to do it more efficiently.